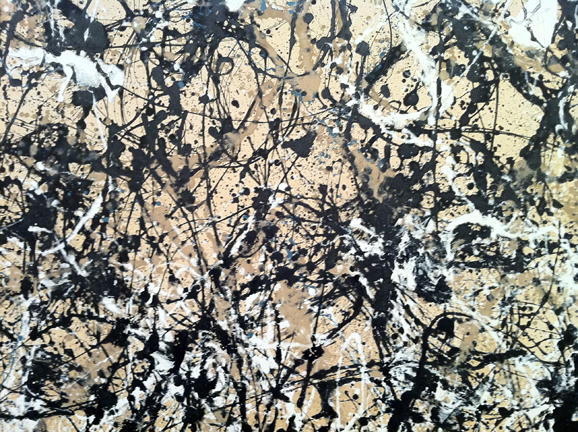 You are currently browsing the tag archive for the ‘Jackson Pollock’ tag. David Cope is a Professor Emeritus of Music at the University of California at Santa Cruz (my alma mater). In a segment on Radio Lab over the weekend, he described an extraordinary project he began in 1981 when he was suffering from a serious case of composer’s block. After a conversation with a computer scientist, Cope developed the idea that it might be possible to use the computational power of a computer to identify the essential DNA of his compositional style and then aid him in assembling the opera he hoped to write. A program called EMI, Experiments in Musical Intelligence, was the result of that effort. The description of how this “tool” works is fascinating. While he originally intended to use it for help with his own musical development, he quickly saw its potential to parse and uncover the patterning in all music. The first results of this effort seemed lifeless to Cope. But with tweaking and adjustments, the results became quite extraordinary. It seems that there is a signature in the structure of a composition, and that signature can be used for propagation. My idea was that every work of music contains a set of instructions for creating different but highly related replications of itself. These instructions, interpreted correctly, can lead to interesting discoveries about musical structure as well as, hopefully, create new instances of stylistically-faithful music. My rationale for discovering such instructions was based, in part, on the concept of recombinancy. Recombinancy can be defined simply as a method for producing new music by recombining extant music into new logical successions…recombinancy appears everywhere as a natural evolutionary and creative process. All the great books in the English language, for example, are constructed from recombinations of the twenty-six letters of the alphabet. Similarly, most of the great works of Western art music exist as recombinations of the twelve pitches of the equal-tempered scale and their octave equivalents. The secret lies not in the invention of new letters or notes but in the subtlety and elegance of their recombination. Of course, simply breaking a musical work into smaller parts and randomly combining them into new orders almost certainly produces gibberish. Effective recombination requires extensive musical analysis and very careful recombination to be effective at even an elemental level no less the highly musical level of which I dreamed. This provokes my sense of what is signatory in art as well. Peter Schjeldahl wrote a piece in the New Yorker several years ago that has haunted me ever since. While suffering from dementia at the end of his life, de Kooning was still painting elementally de Kooning works. Which causes one to ask, where does style reside anyway? (I have also pondered the claim of neurologists who say a brain damaged person in the West can sing the happy birthday ditty even if they cannot speak or recognize their family members.) Researchers have tried to identify the fractal-like DNA of a Jackson Pollock painting—not without controversy, however—or those other small tells that end up determining the authenticity of a work of art. 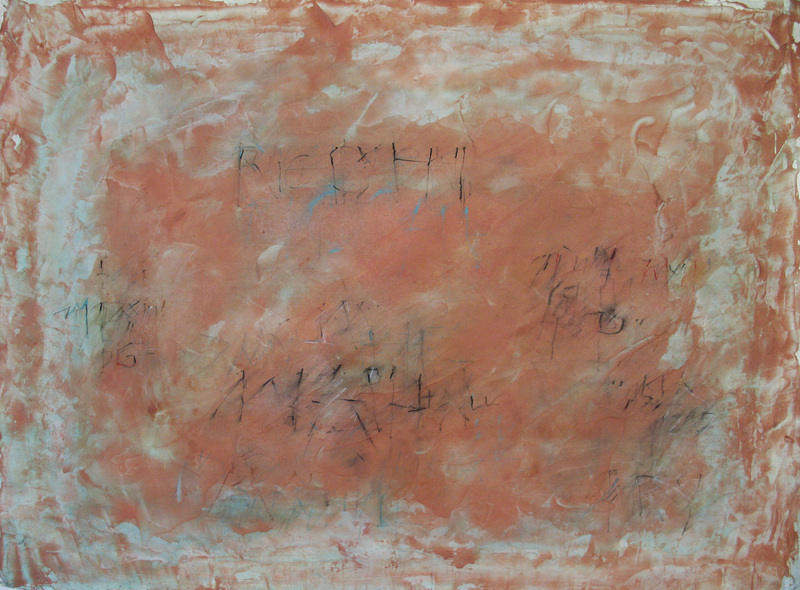 On a more personal level, can you spot the signatory patterns in your own work? Looking back at my early efforts I see all sorts of patterns, proclivities, inclinations and tendencies that feel familiar to me now. Cope’s approach is scientific and my judgment is subjective, but the question is still floating for me. When U.S. Supreme Court Justice Oliver Wendell Holmes Jr. said generations ago that “I wouldn’t give a fig for simplicity on this side of complexity, but I would give my life fro simplicity on the other side of complexity,” he meant that to find elegance, you must appreciate, embrace, and then travel beyond complexity. When we use the world elegant, we’re describing a solution that is as surprisingly powerful as it is uncommonly simple: it does to the heart of a wickedly complex problem with such laser-like clarity that it leaves no doubt that the solution is the right one, or at the very least a long way down the right road. Elegant solutions solve intractable problems once and for all without causing further ones. Put another way, not everything simple is elegant, but everything elegant is simple. Elegance is “far side” simplicity that is artfully crafted, emotionally engaging, profoundly intelligent. This passage is from In Pursuit of Elegance, by Matthew E. May, a small but loaded book that explores May’s four key elements of elegance—symmetry, seduction, subtraction, sustainability. Delving deeper into each of these concepts, May’s examples span a wide variety of topics. He has an entire chapter on symmetry devoted to the fractal nature of Jackson Pollock’s paintings and how that observation was tested and demonstrated by scientist/artist Richard Taylor. Amazingly, the term fractal was coined in 1975 by Benoit Mandelbrot, long after Pollock’s death. 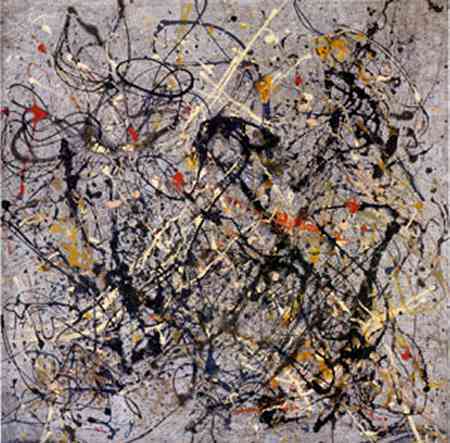 When Pollock described his work with these words, “My concerns are with the rhythms of nature. I am nature,” he unknowingly presaged a whole new field of scientific research. A world in which “not doing” can be more powerful than “doing” is a different world than the one we are used to, with important implications. Because the most pressing challenges facing society are in urgent need of sustainable solutions—elegant ones. Because without a new way of viewing the world we will most assuredly succumb to employing the same kind of thinking that created so many of our problems in the first place. Because precious resources such as land, labor and capital are at all-time premiums, and in some cases are rapidly shrinking or being depleted. Because by nature we tend to add when we should subtract, and act when we should stop and think. Because we need some way to consistently replace value-destroying complexity with value-creating simplicity. Because we need to know how to make room for more of what matters by eliminating what doesn’t. This short piece by Jonathan Jones (in The Guardian) captures rather succinctly many of the frustrations I have written about here in earlier posts. We are currently living through a period of inappropriate dependence on language to extol and explain what is often beyond language in the visual arts. Enough words! My voice joins others in a plea for inviting a variety of different responses including silence, stillness, and to be outside of thinking and logic. It is a vice of second-rate art to come with its own eloquent explanation attached. If an artist can translate the meaning and purpose of a work into easily understandable words, it means one of two things. Either the artist is lying, in order to ease the way with patrons and funders; or the artist is a fool. And if dishonesty is the reason, that too is something that vitiates art. No serious art is easy to interpret. Nor is there ever a single valid interpretation of art. 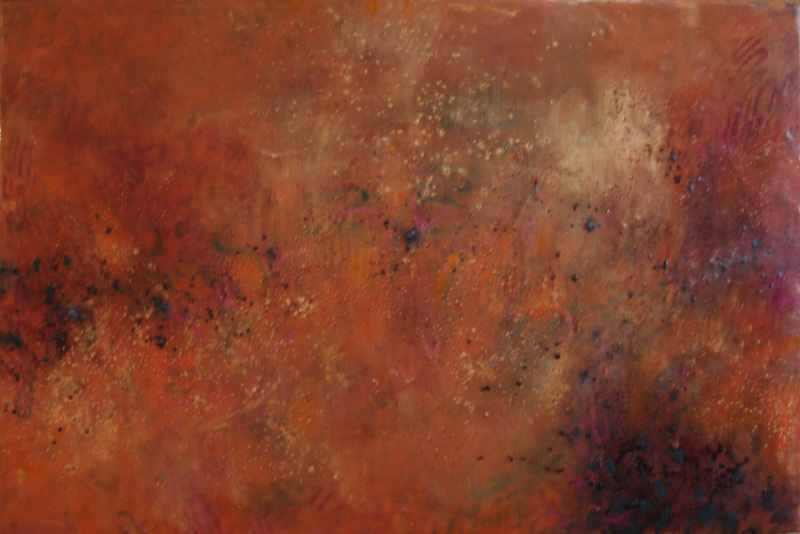 If art is good, there are many things to be said about it and much that will remain unsayable. Yet, there are more and more pressures today on artists to explain themselves. Once, an artist was allowed to hide behind a vague and mysterious aura. The American abstract expressionist painters made grand pronouncements about their work that are so enigmatic they give away no hostages – nor do the kinds of epigrammatic comments made by Francis Bacon. Yet artists in Britain today are always offering explanations for what they do. If you’re looking for the root cause of anything annoying, silly or spurious in the culture of art in 21stcentury Britain the source of the problem is never hard to locate. Once again the culprit is … public art, in which the popularization of art, the determination of institutions from parks to to local councils to be associated with it, and a lingering British Puritan visual clumsiness produce a lot of guff as artists try to promote the accessible virtues of their ideas. That’s Jackson Pollock, writing a grant application in 1947. I don’t suppose it would get him much of a grant in Britain now. He’d have to explain what his webs and loops of abstract paint are all about … but he’d sit there chewing his pen, no more able to offer a simple explanation of them than the critic is half a century later.